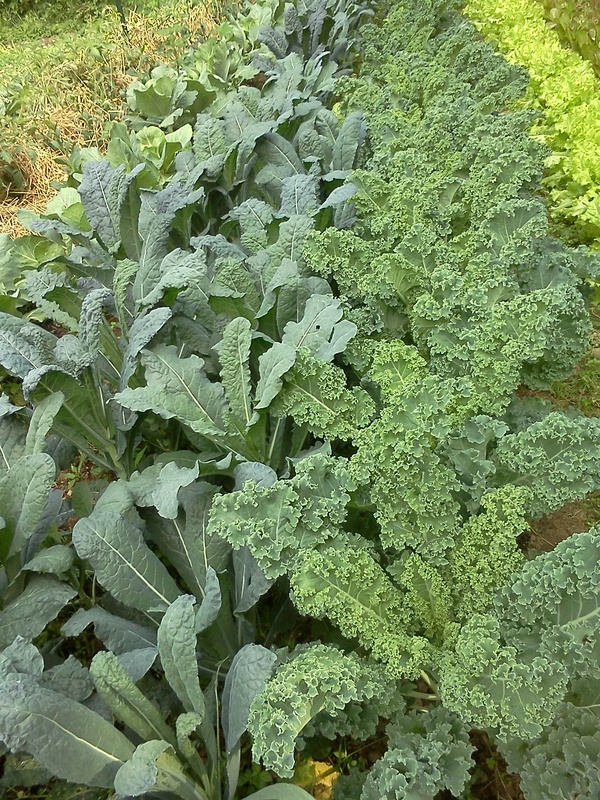 Kale: We’re growing four kinds. Some are doing really good. We’ve been mixing it up in your boxes recently. Pictured: Lacinado left, Winterbor right. 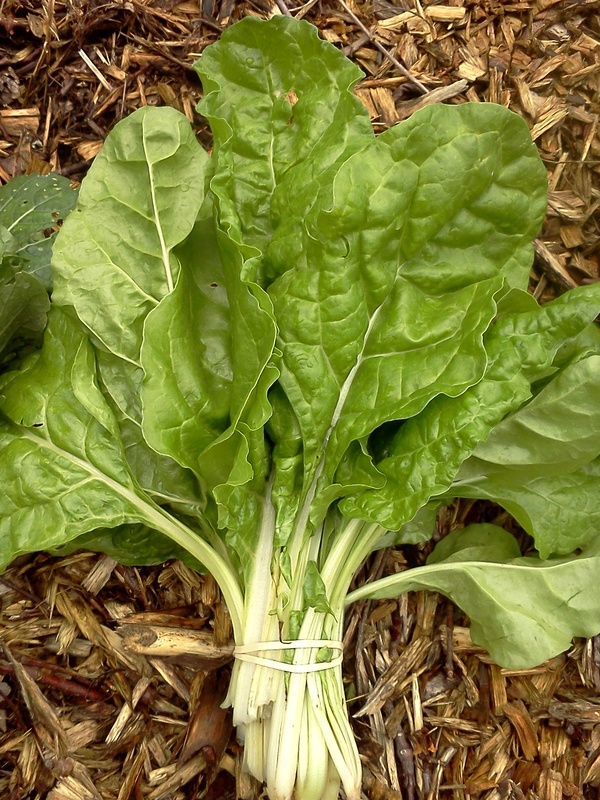 Swiss Chard: We’ve got red and white. Both pretty and delicious. Turnips: Also gave folks red and white the past couple weeks. The white ones are a little sweeter, but they are both actually pretty mild for a spring planted turnip. 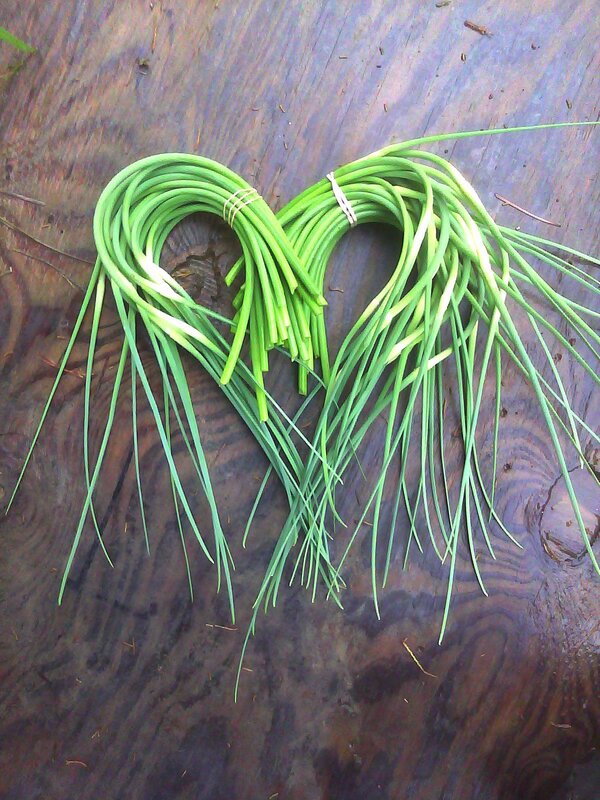 Garlic Scapes: This is the immature flower bud of the garlic plant: Crunchy, fresh, juicy, garlicy. Eat it raw, cooked, or pickled; all the way to the tip. Sugar Snap Peas: Edible pod, sweet berries. Worth eating quickly if you can. Head lettuce and salad mix: Same mix of lettuces that we’ve had before. We’re experimenting with more non-lettuces for our hotter month salads. We’ll keep you updated with those things. Kohl Rabi: Sorry we didn’t take a picture this week. Its the funny looking ball with leaves coming off of it. Crispy, crunchy, delicious, cabbagey. It needs to be peeled sometimes. It can be roasted, sauteed, or eaten raw. Pac Choi: we finished up our first pac choi bed. We’re hoping that more comes along later this month. Spinach: Super fresh, green, tasty. up ahead, look for more of the same, plus some rhubarb, summer squash, cherry tomatoes, carrots, beets, leeks, and more.